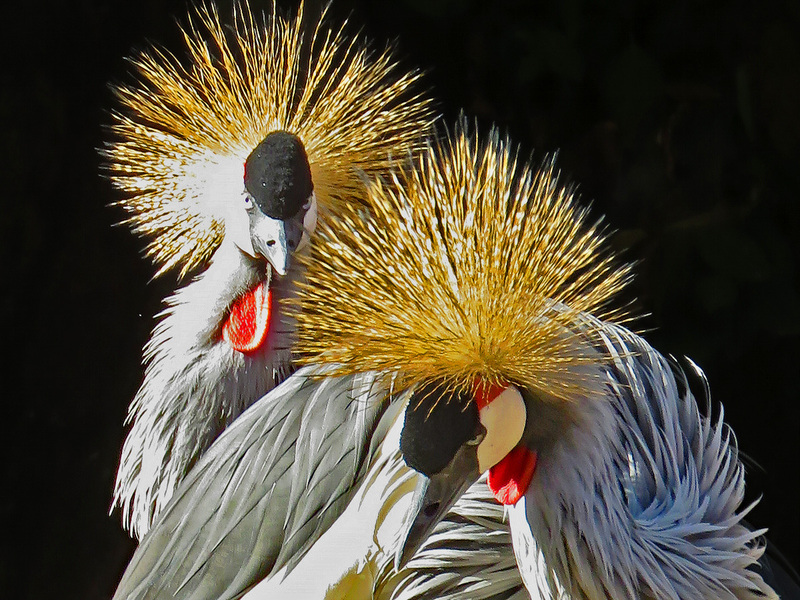 Lifetime lovers, Crowned cranes usually mate for life. Both male and female cranes help build the nest and defend their eggs and chicks. Blessed birds, in many areas, the Crowned crane is considered sacred. Its cultural significance has provided it with a high level of protection. Today, was a play day. First, I went to the zoo, getting there just as it opened. It was unusually uncrowded. I finished my photo-safari at noon, headed home and had lunch. Then I hopped onto my bike and headed back to Forest Park. I took pictures of the fall foliage, in-between getting my miles. It was a beautiful day. This entry was posted in Birds, Forest Park, Photography, Saint Louis Zoo by RegenAxe. Bookmark the permalink.